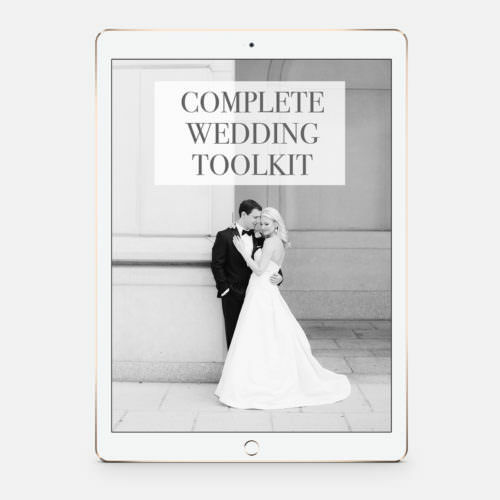 This is our tried-and-true automated wedding email campaign that we use in our Shootproof account to sell prints for every single one of our wedding galleries in Shootproof. 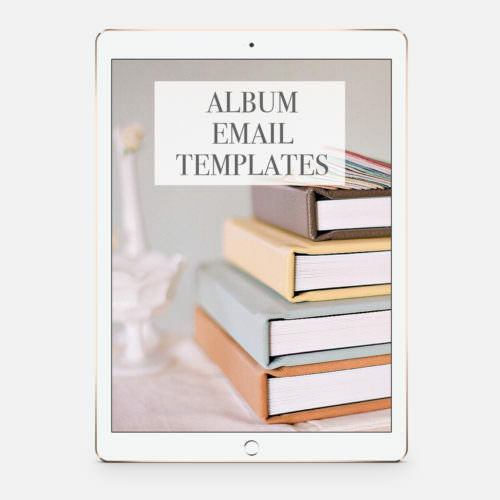 This set of NINE EMAILS includes subject lines, swipe copy, call to action text, and the exact send dates and strategies. 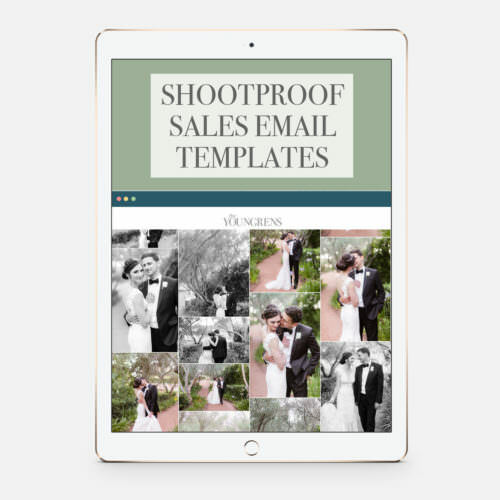 One of our favorite features of Shootproof is the ability to send automated email campaigns to sell prints and make more passive income. 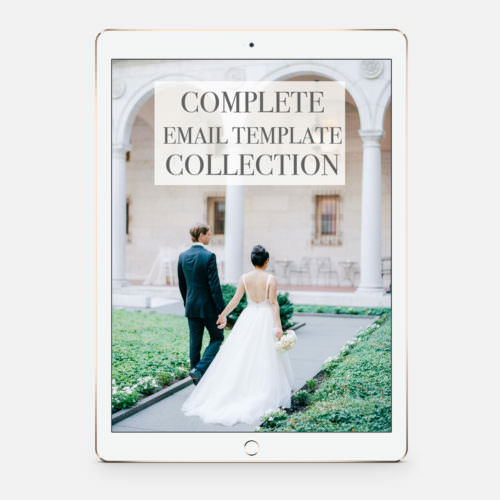 No need to use a separate email system like MailChimp or Drip. 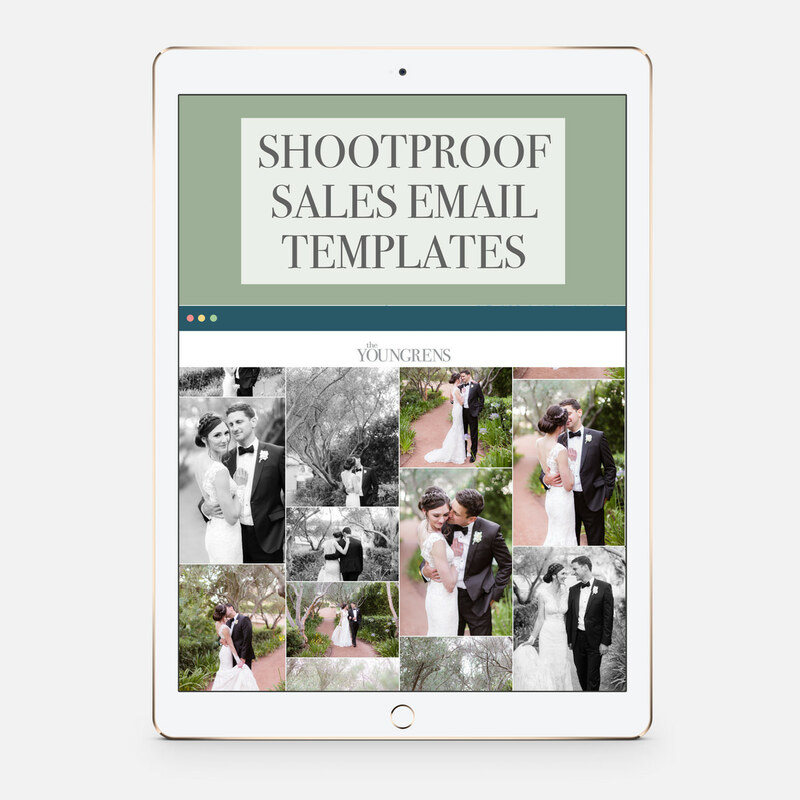 Set up our automated email campaign directly in your Shootproof account and watch your passive print sales grow!